Fantasia Palm 52″ outdoor ceiling fan in chocolate brown and IP54 rated is suitable for use in a covered patio or bathroom. 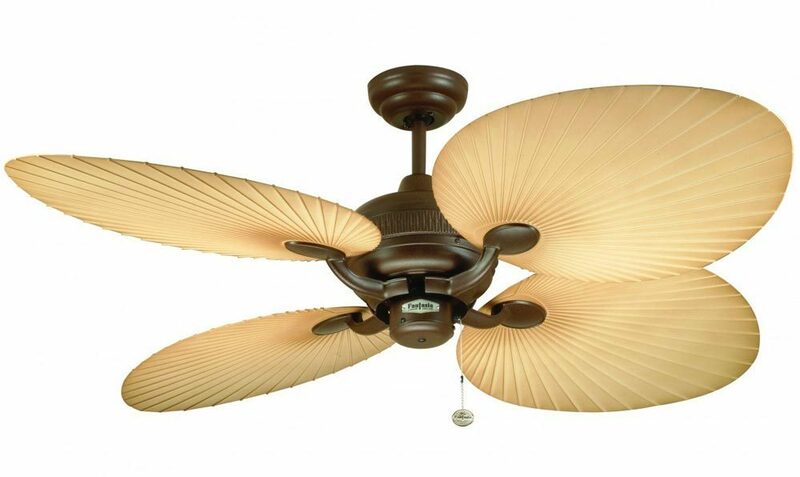 Featuring a four-blade design, colonial style and hanging pull chain that operates the three fan speeds. 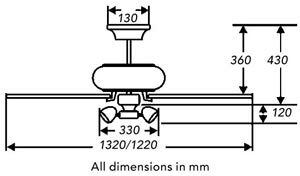 The motor is almost silent when operated on the lower settings. Perfect for covered outdoor balconies and terraces or in bathroom zone 2 as the motor is protected from water splashes. This fan can be upgraded to remote control when used indoors only. Supplied with a 6″ drop rod but can be fitted with a drop rod of up to 72″ in length; please contact us for any of the options.